Sinsheim - Two of the Bundesliga's most free-scoring teams meet on Sunday as 1899 Hoffenheim host Borussia Mönchengladbach in the Rhein-Neckar Arena (kick-off 15:30 CET). With 12 goals chalked up already. the hosts only trail league leaders Dortmund (15) in the scoring charts, while Gladbach are not too far behind with ten strikes to their name. What makes this tie all the more mouth-watering, however, is that the duo also have a tendency to leak goals at the opposite end of the pitch too. Nevertheless, 1899 Hoffenheim coach Markus Gisdol sees "Mönchengladbach as a top-six side", although he stopped short of excessive praise, declaring that "if we play to our potential, there's a good chance we can take three points." That potential has only been glimpsed sporadically, although spectacularly, thus far this campaign, such as in the 5-1 victory over Hamburger SV, and for a repeat performance to be a possibility, Gisdol exhorted his players "not to make silly mistakes which Gladbach will punish". One of the architects of that 5-1 victory was the Brazilian Roberto Firmino, who will miss this week's game with an ankle injury sustained in training, as will Sejad Salihovic who is still suspended. Gisdol was also cagey on the availability of USA international Fabian Johnson, who is "tired after his long journey back" from helping his country qualify for the FIFA World Cup. 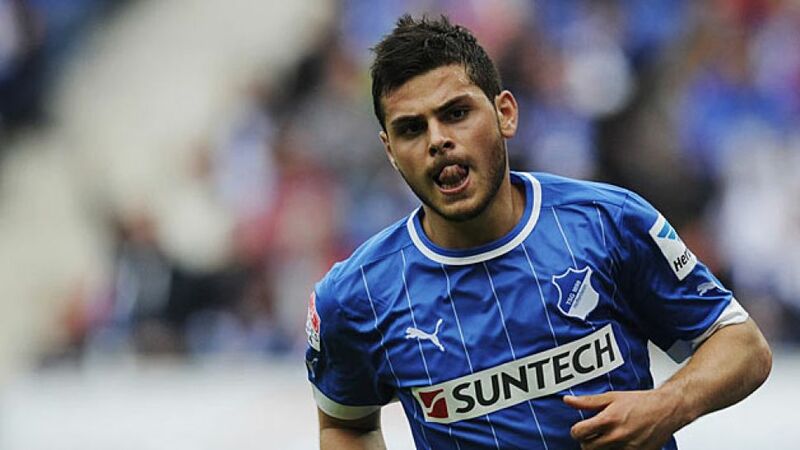 That means attacking responsibility is likely to fall on Kevin Volland, who scored a brace for during the international break. There are fewer such doubts for the Foals, for whom coach Lucien Favre has a full squad to pick from, after his internationals "reported back for duty fit and raring to go." In spite of that, Favre is wary of a Hoffenheim side that has "scored at least twice in every game this season, which shows exactly what qualities they bring to the table. They're a very dangerous team". His caution is well-placed, especially as the 55-year-old's team have lost both away games this season (3-1 to FC Bayern München and 4-2 to Bayer 04 Leverkusen). The visitors will be banking on the attacking talents of their 'fantastic four', all of whom scored in the 4-1 defeat of Werder Bremen last time out. The quartet is comprised of Max Kruse, Raffael, Juan Arango and Patrick Herrmann, the latter of whom made his 100th Bundesliga appearance against Werder, and this weekend is looking forward to "taking some points home from Hoffenheim".